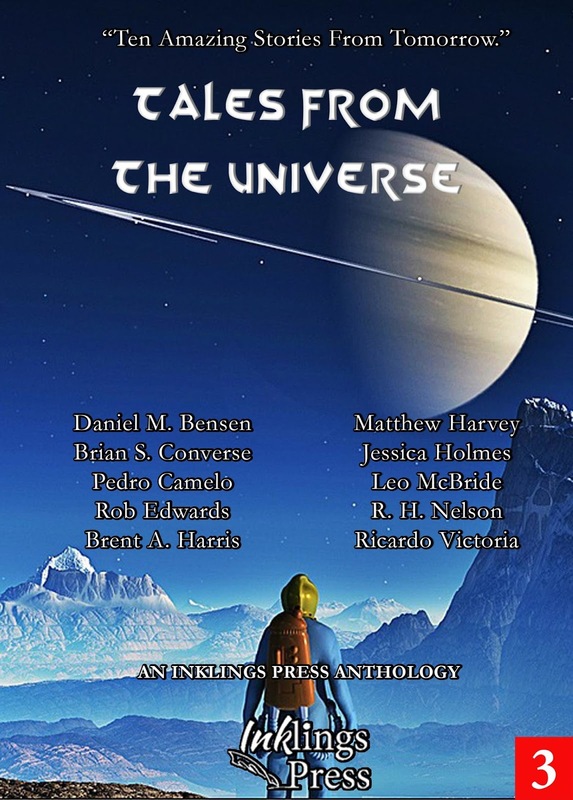 Poet, writer, editor, and journalist Sheila Martindale received an early copy of the new Inklings Press anthology Tales From The Universe for review - and here, on launch day, is her opinion on the book! If you don’t want to leave the love of your life by dying, maybe transferring yourself to a younger body would be the answer! Or, in another scenario, you could integrate two people into one, and be together forever. If mining in space is your thing, one of these writers can take you there – but not for long if you need to breathe air. Do you struggle with questions of God and Science? The answer may be in this book. Or, perhaps, in some life in the far distant future on another planet, Hercule Poirot could help you out. 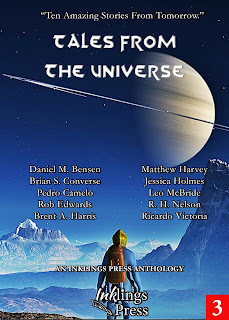 Science fiction has never really been my thing, but I really enjoyed the ten stories in Tales From The Universe. These writers take us to places beyond the imagination, and make us think about things we have not dreamed of. Sheila Martindale’s varied career has included that of editor, broadcast journalist, theatre columnist and occasional teacher. She was born and educated in England, moving to Montreal in 1966, where she lived through the October Crisis of 1970, and then relocated to Ontario. After raising her family there, she continued her westward trek, stopping for one winter in Alberta before making the final push to the west coast. She now makes her home in Victoria, where she is very active on the literary and artistic scene. You can find out more about her on sheilamartindale.com. EDITOR'S NOTE: Sheila gave permission for her review to be used here on our site. If you have a review you wish us to feature here, we are happy to do so, especially if you do not have access to sites such as Amazon or Goodreads to leave reviews on.